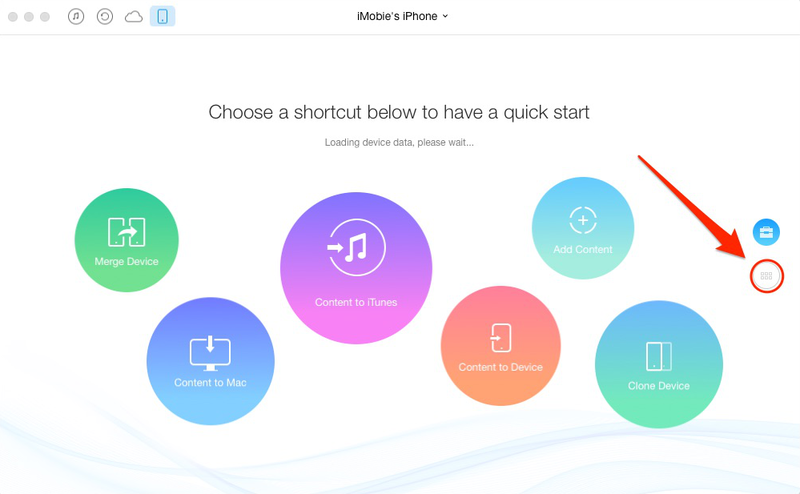 How to Delete iTunes U Courses from iPhone -iMobie Inc.
Are you looking for the method about how to delete iTunes U courses from iPhone? This post will show you 2 methods to help you figure it out. 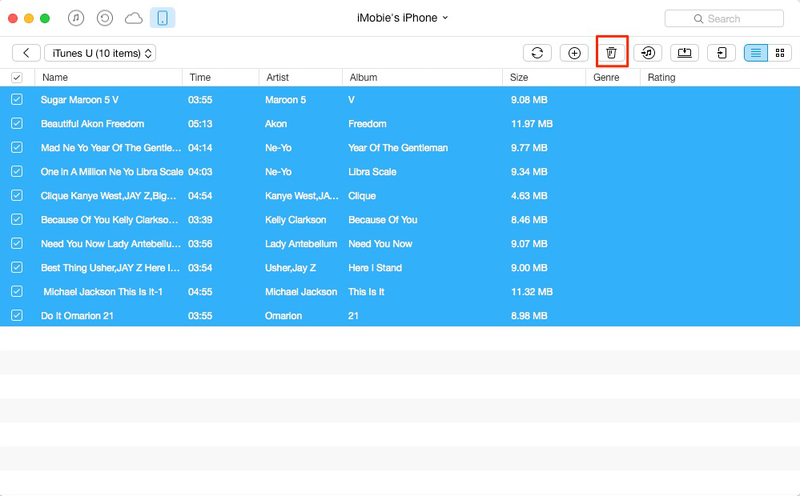 Get AnyTrans installed on computer to manage your iPhone data after reading this guide on how to delete iTunes U courses from iPhone. iTunes U lets us easily access a large number of free educational courses from more than three hundred universities and colleges. You can download the interesting courses on your iPhone and watch the lectures on the go. However, as time goes by, you may find that you have saved multiple iTunes U courses on your iPhone and your iPhone just out of memory. At this moment, deleting some old iTunes U courses is a great way to free up space on your iPhone. In this guide, we will show you two methods to help you make it. If you do not want to lose some interesting courses, you can simply transfer iTunes U to computer as backup and then delete them from your iPhone. 1. Open iTunes U app > Find the courses you want to delete > Swipe to the left > Tap Delete. 2. Settings > General > Usage > Manage Storage > iTunes U > Find the courses you want to delete > Swipe to the left > Tap Delete. As you can see, you can only delete items one by one. It will be a time-consuming job to delete a large number of iTunes U courses from your iPhone. 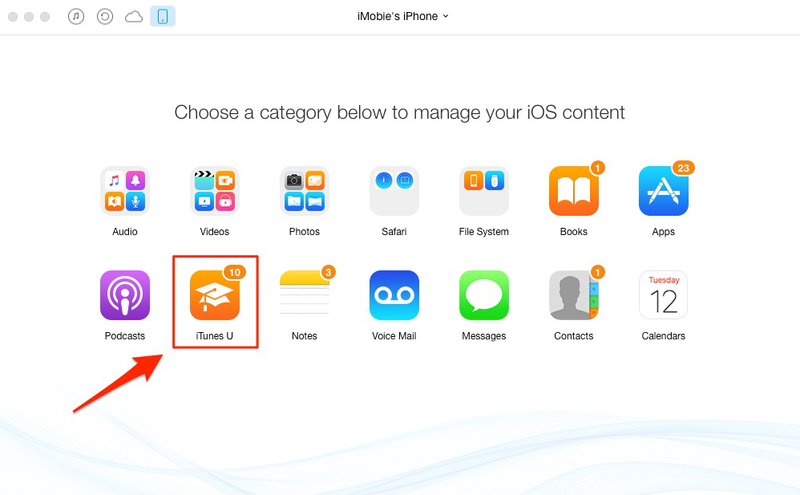 In this case, we offer you another method to help you remove multiple iTunes U courses from iPhone in minutes. AnyTrans, a professional iOS content manager can help you delete a lot of iTunes U courses from iPhone in minutes. It allows you to delete all or selected courses at once. Besides iTunes U, you can also easily delete music, photos, podcasts, notes and more from your iPhone. Not only that, as an all-in-one iOS data manager, AnyTrans makes it possible for you to transfer more than 20 kinds of data from iPhone to another iDevice, to computer/iTunes and vice versa. You can have a full control of your important contents. Want to give it a try? Click here to download AnyTrans and then follow us to remove multiple iTunes U courses from iPhone with ease. Step 2. Launch AnyTrans > Connect your iPhone to computer > Click on iTunes U. Step 3. Select the items you want to delete > Click on Delete button. AnyTrans would be your best choice by allowing you to transfer, backup and remove data on your iPhone easily. So why not give it a try? Send an email to tell us your questions on this guide or AnyTrans. Share this guide with your friends if you like it.